Doormats can easily dress up the front door of your home and make it more inviting to guests. Instead of buying a generic doormat from the store, create a customized doormat that you will love. 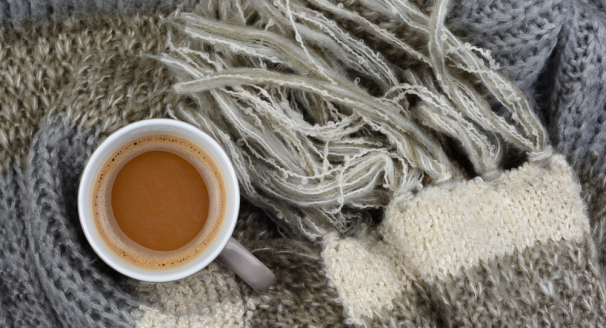 Here are 15 ideas for doormats you can easily make at home. 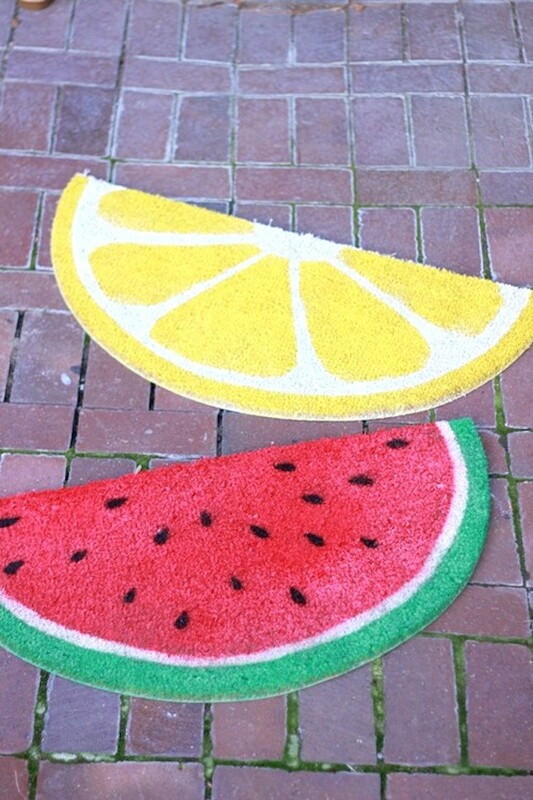 Cut a plain circular doormat into two, to create these fun and colorful fruit mats. The fruit design is applied to the doormats by using a homemade stencil you have cut out, and spray painting them a range of colors. You can customize the mats with a variety of fruit designs including, watermelons, lemons, oranges and lime. 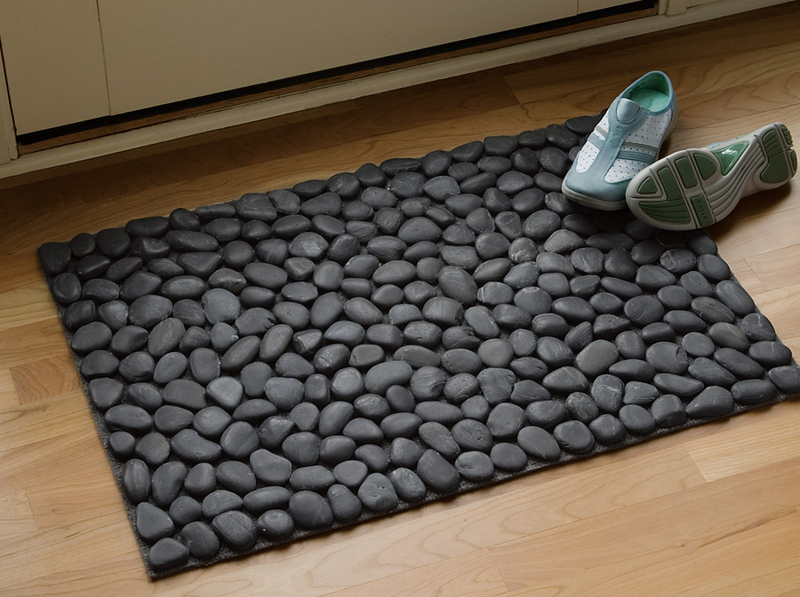 This pretty river rock doormat is easy to make and the design of it means that water evaporates from it really fast compared to fabric doormats. 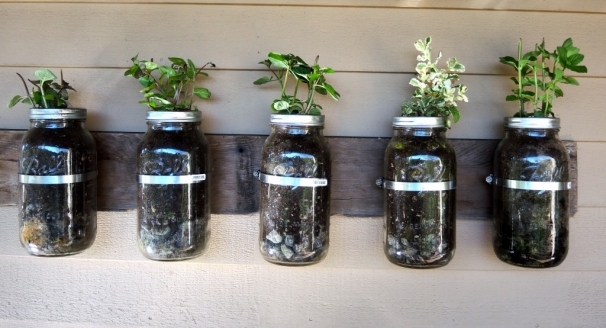 All you need to do is glue river rocks to a shelf liner and wait for the glue to dry before placing it outside your home. 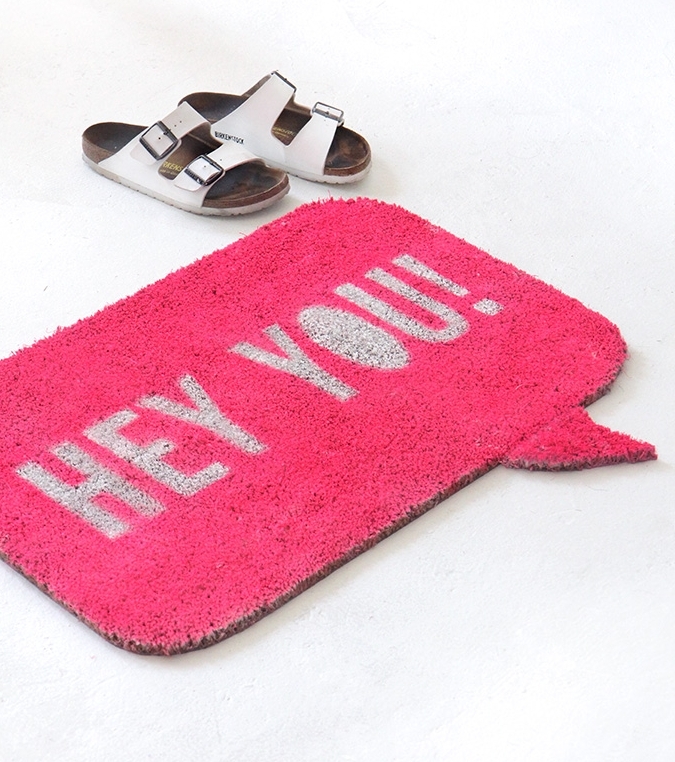 Greet your visitors before you answer the door and also wish them goodbye as they leave, with this quirky hello/goodbye doormat. The message is hand painted onto a natural fiber plain doormat, and you can choose to either use a stencil to paint the letters or do it by freehand. 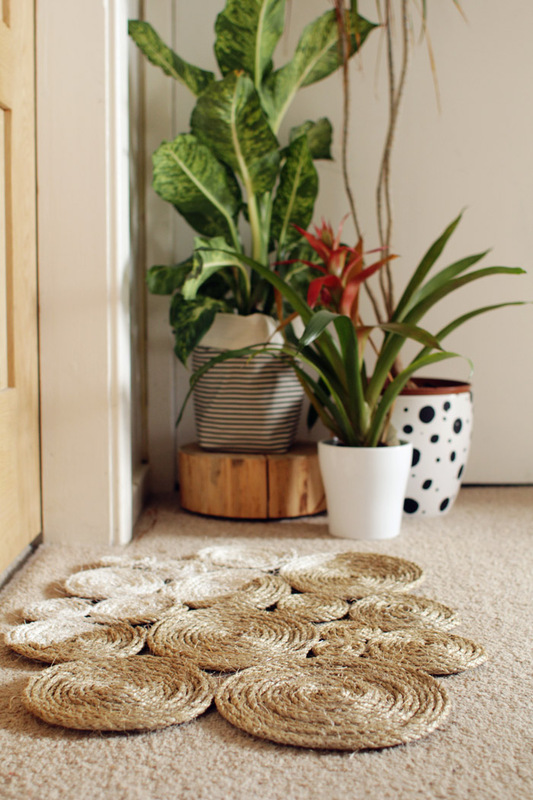 Add a bit of style to your doorway by creating an indoor doormat out of coiled rope. The coils are made by applying hot glue onto the rope and coiling it round until you create a circle. You need to make the coils different sizes and then arrange them in a suitable layout which makes them fit together well. Once you are happy with the order of your coils, glue them together and after it has dried, coat it with waterproof spray paint to protect it from dirt. 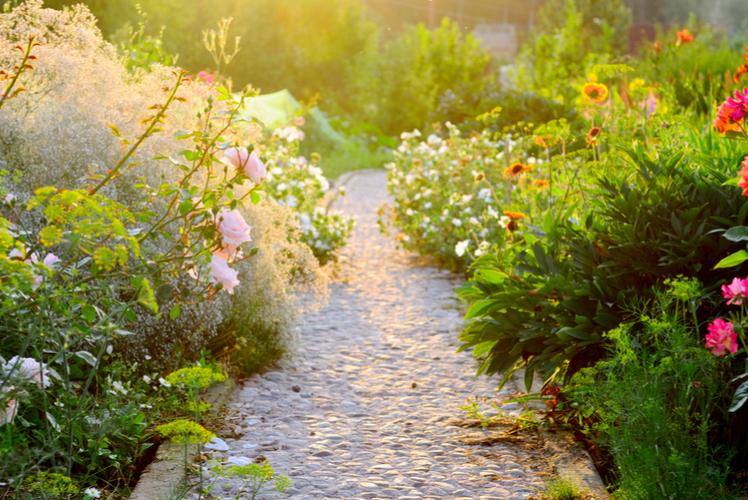 Add a natural look to your porch by making a pretty wooden doormat. The slats are ideal for those with muddy shoes as they can scrape it off on them before entering your home. 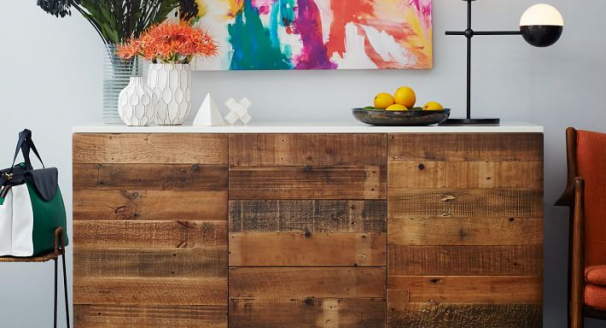 To make it you will need to build a frame out of the wood, by cutting it and gluing and nailing it together. Afterwards cut the remainder of the wood at a 45 degree angle and glue and nail them to the frame. 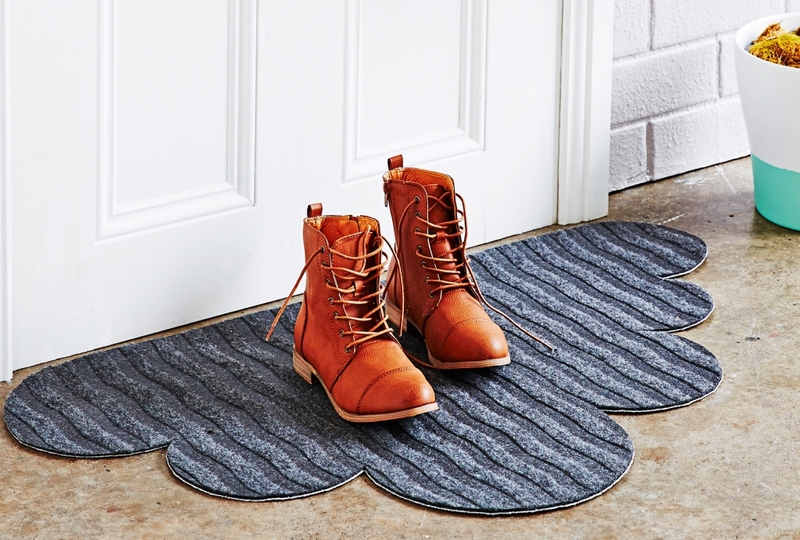 Turn an ordinary doormat into a fun cloud shape in just a few simple steps. 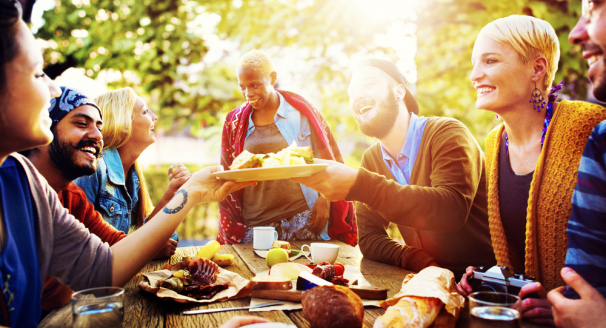 Place a plate on a long edge of the reverse side of your doormat and trace round it. 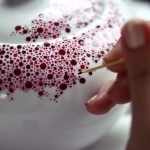 Then repeat this process with other plates until you have the outline of a cloud shape. All you have to do next is cut round the outline and flip the doormat the right side up. 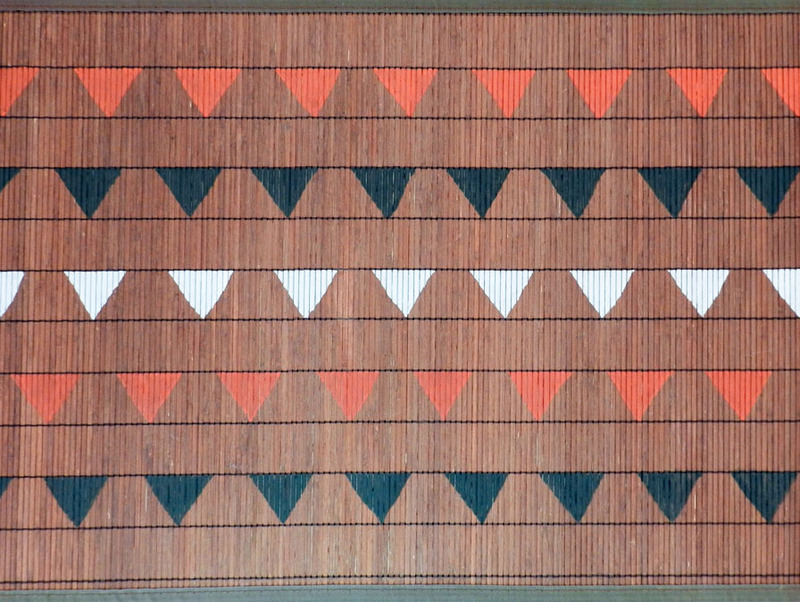 Paint a fun geometric pattern on a doormat using a variety of paint colors. This simple triangle design can transform any doormat from drab to fab, so you only need a cheap doormat to paint your design. However you need to make sure that the measurement between the triangles are equal, in order to have an effective geometric pattern. 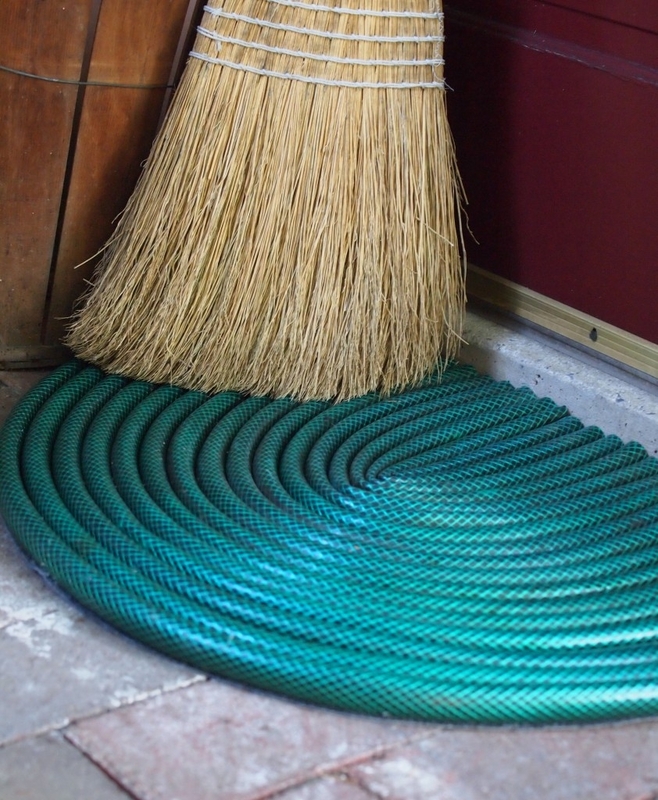 If you have an old garden hose that leaks or you no longer use, then consider making it into a doormat for outside your home. Buy a cheap doormat from a dollar store and then cut up the hose and glue it onto the mat. 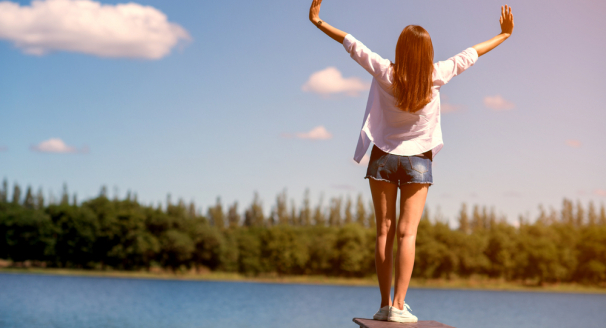 The result is a durable mat that ironically can be easily cleaned with a hose. You can create many different images and messages using a stencil and it's really easy to do. This quirky pin point location is made by printing and cutting out stencilled letters and a pin point marker and placing it onto the doormat. Then all you need to do is spray paint over the stencil and you have a brand new doormat which will surely amuse any visitors to your door. 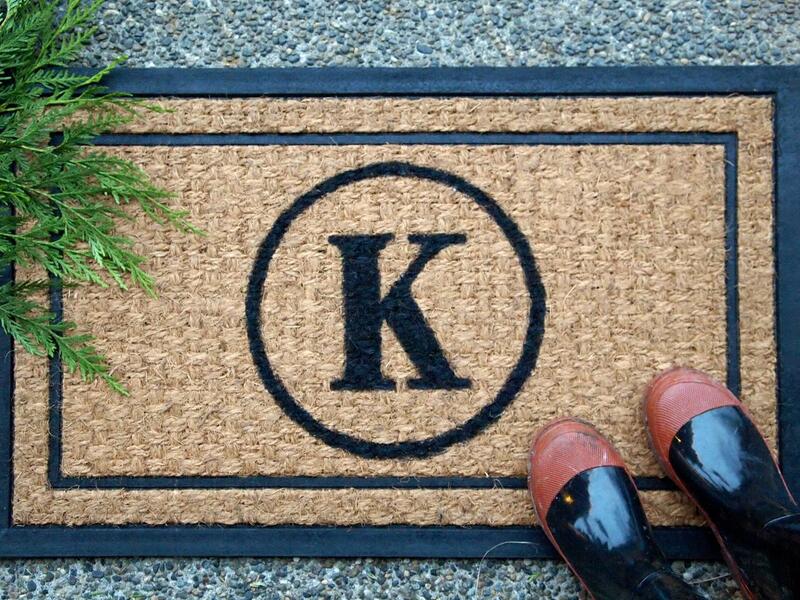 Personalize your doormat with your own monogram in less than half an hour. 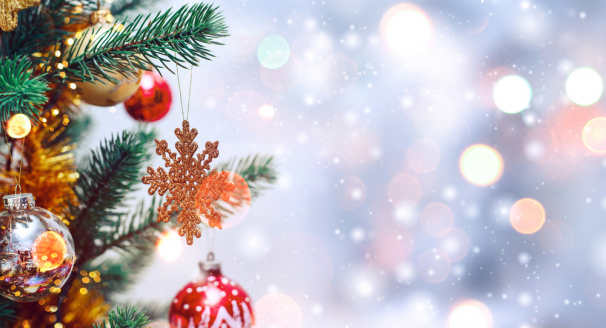 These are lovely inexpensive gifts you can give to friends and family, or just keep for yourself. All you need to do is print out your initial or monogram on card stock, then cut it out and trace it onto the mat. Afterwards color in the outline with black paint and wait for it to dry. 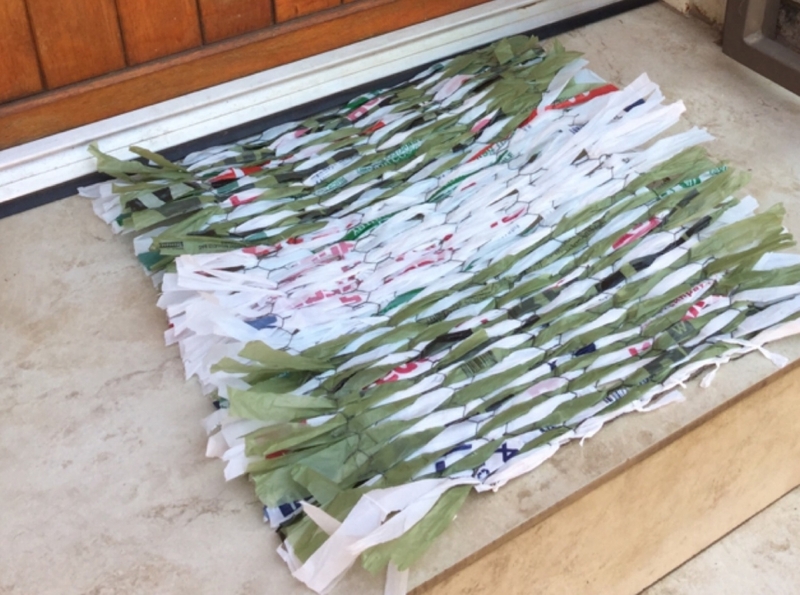 Save all of your plastic bags from grocery shopping and recycle them into something useful like this doormat. It's a great way to prevent muddy footprints indoors and very cheap to make. 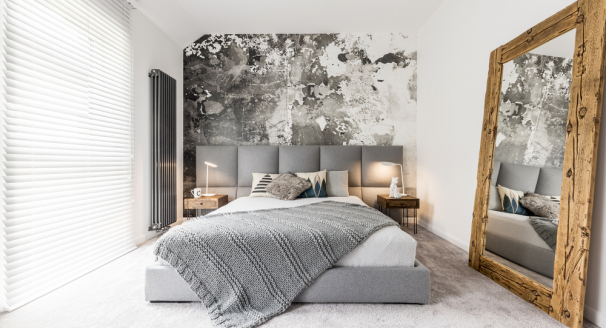 Before you start making it you will need to decide how big you want your doormat and whether you want it to feature a pattern. This will help determine how many bags you will require to make the mat, and how many you will need of each color. 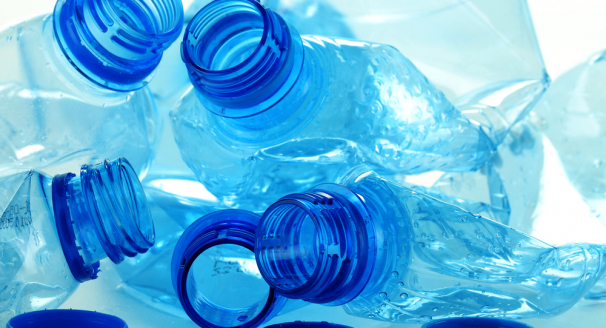 If you don't seem to have enough bags, ask friends and family to help you out with this project by donating their old shopping bags to you. 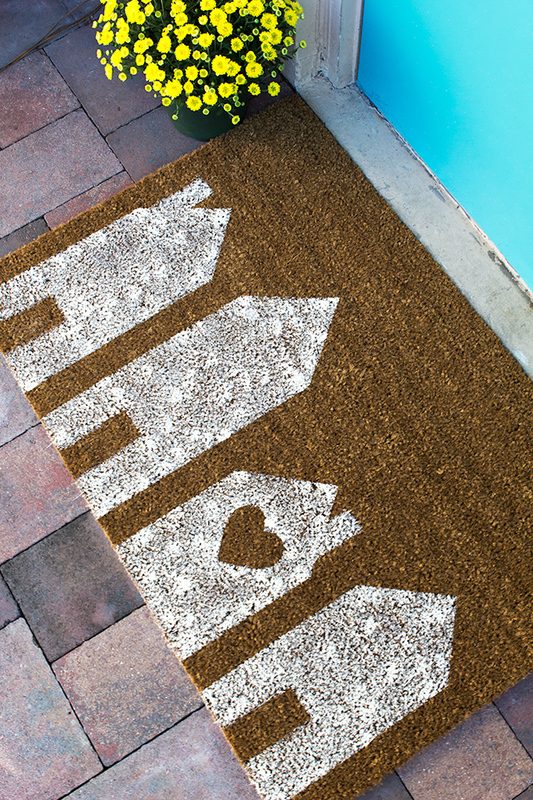 Show that home is where the heart is with this cute painted doormat. 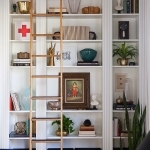 The only supplies you will need to make this are a plain sisal doormat, painters tape, craft paint, a large brush and a heart template. 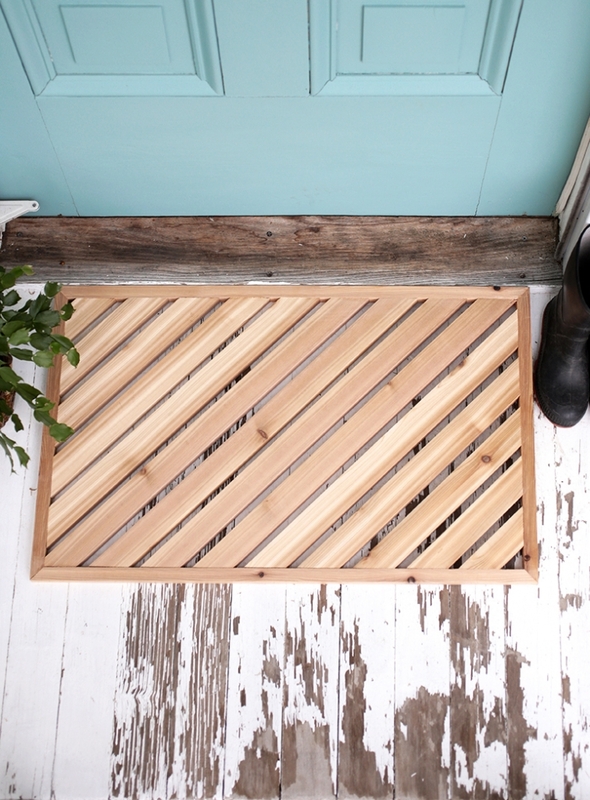 This DIY doormat project only takes half an hour to do, and will look lovely outside your home. 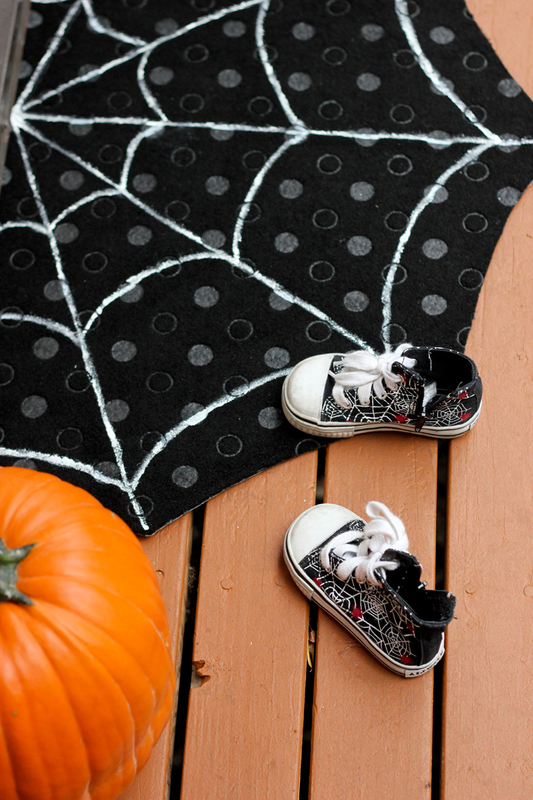 Impress trick or treaters and celebrate Halloween in style with a customized spider web doormat. 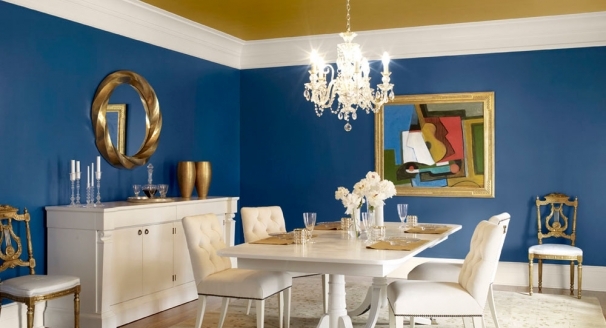 Start off with a plain black semi-circle doormat and paint straight lines onto the mat with white paint. Then paint curved web lines to create the spider web effect. You can leave the design how it is at this stage, but there is a optional step which involves cutting curved pieces around the edge of the mat to make a web shape. 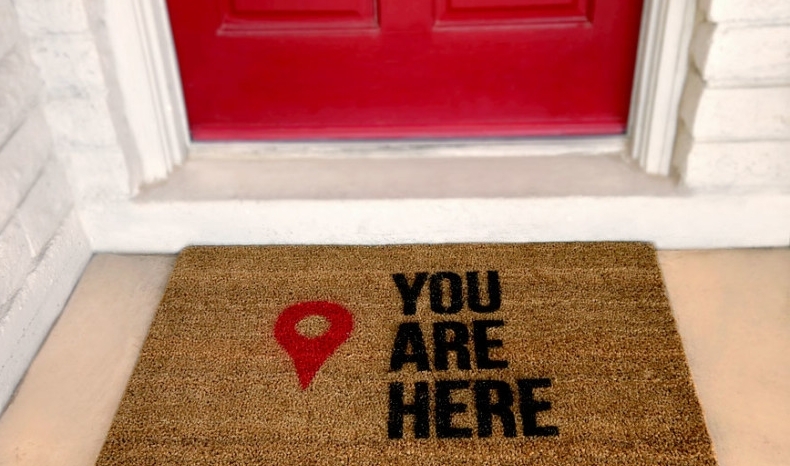 Create a welcoming environment for your visitors when they approach the door to your home, by featuring a doormat designed as a quote bubble. 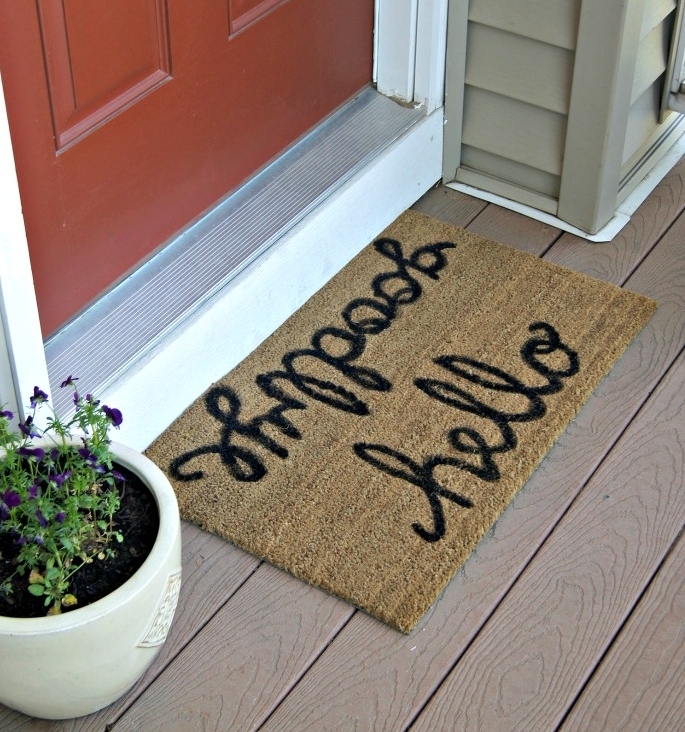 You can personalize your mat with any message you want, however the most common ones are hi, hey, hello and welcome. To make the shape of the quote bubble you will need a razor knife to cut out the design on the mat. 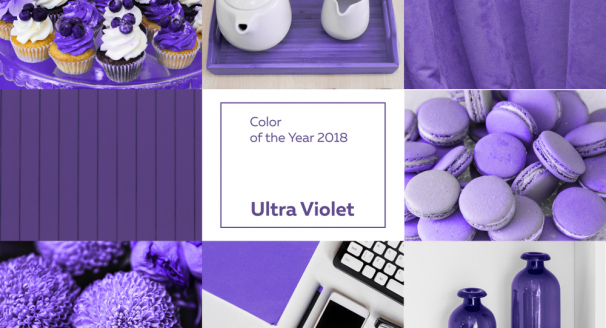 Then paint the mat white before placing the letters of your chosen message onto the mat and spray painting it a bright color.